On the sites listed below you'll find writing resources (bang-thud. that word again), posts about craft, marketing, editing, etc. contests, critiques, agent and publisher information, interviews, reviews, cover reveals and book releases, support, and more. Long ago in a galaxy far away I had NO IDEA what it took for a book to go from the seed of a story to the printed page. When the credits roll in movies you see hundreds of names (even if they're really teeny-tiny) listed, but when it comes to books, there are loads of people involved who often go unnamed. There are those that help during the research phase, supportive family and friends, beta readers, critique partners, old-man (woman?) time, meaningful people who help us cultivate patience and fortitude. Then there are the hard workers in the "industry," the agents, assistants, editors, the people who operate the machines to print books and drive them to book stores for goodness sakes! There's the mail delivery person and the book store employees and owners who bring those crisp pages to us...Have I made my point? And the community of writers and readers who support us online from answering stumpers like, what's the diff between who and whom, to picking us up when we don't think we can go on with translating our thoughts to words. Suffice it to say, Virginia Wolff, Tolkien, not even JK Rowling in the early days, had access to so much support. Writers don't need to, shouldn't, and when it comes down to it, can't go it alone. Real writers and authors run and contribute to these sites and blogs. I find this makes the information more accessible and in the seams with us creative, writerly types who aspire toward print—so in some ways more authentic. If you don't have a virtual cheerleader (or several) get connected, there's something for everyone. All the Write Notes - 15 Writers who love music and books. Interviews, Ten Questions, Playlists, Giveaways and Guest Posts. And more, of course. Brenda Drake - Writer, blogger, book reviewer, and giveawayer...Oh and she heads up the writing contest Pitchwars/Pitchamadness which matches writers with mentors and then they pitch. Sometimes baseballs, snowballs, or really great manuscripts. Critiki Lounge - "A scorpion bowl full of feedback." Visit the lounge, submit your pitch on the designated day and get some great critiques. Critique Circle - A members group for sharing your work, editing, and of course giving great feedback. Cupid's Literary Connection - An undercover cupid makes writer-agent love connections. Contests and success stories. Janice Hardy - Writer and blogger who will show, not tell, you how to strengthen your writing. KidLit - Agent Mary Kole's blog helping aspiring authors with writing, revising, and publishing. KidLit Frenzy - Super sweet review site encompassing children's picture books to young adult. Kidliterati - Contests, giveaways, writing tips and support, interviews with real child readers (!) and more. Literary Rejections - Another point of reference for agent info in the US and beyond, along with a boat load of support for those of us who've received, (mumble, mumble, mumble) rejections. MG Ninja - Middle Grade Ninja provides a great resource for information and interviews with agents, and writers, and editors, as well as reviews. Michelle (4 laughs.) - I just think of her as Michelle, a doll, a wonderful writer and blogger who provides agent interviews, contests, and has a great twitter presence. Middle Grade Minded Writers on an adventure exploring the world of middle grade with stories, tips, and encouragement. Miss Snark's First Victim - The anonymous Authoress hosts monthly (and then some!) writing contests with reputable agents, feedback from seasoned writers, and a wee bit of chocolate lovin' sass. She tells it likes it is, but sweetly. Mother.Write.Repeat - Uber promoter for both the writer and agent. She reviews, interviews, and shares some of her more personal thoughts, but all in a smart and accessible way. NA Alley - Everything you want to know about New Adult including books, writers, content, contests and writer's support. 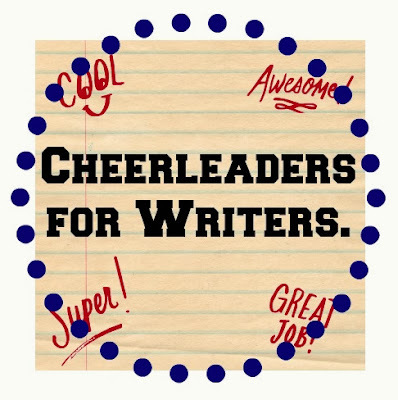 Operation Awesome - A community of writers sharing their thoughts, trials, and triumphs in the writing world. Oh and a monthly mystery agent contest. Project Mayhem - The Manic Minds of Middle Grade Writers includes an awesome community of middle grade writers who offer writing tips, reviews, support, helpful links, and a burst of humor. The Girl with the Green Pen - College age writer who loves writing, reading, and writing and reading queries. She will critique your work as well as provide other writing related services. Also, she's pretty awesome and talented. Writer's in the Storm - Writers sharing their thoughts and experiences on writing. And agenting. And publishing. And marketing. Super smahhhht and informative articles. Really. YA Highway - A collective of published writers who provide info on publishing, writing, author interviews, and more. YA Misfits - Similar to above, but they're misfits. 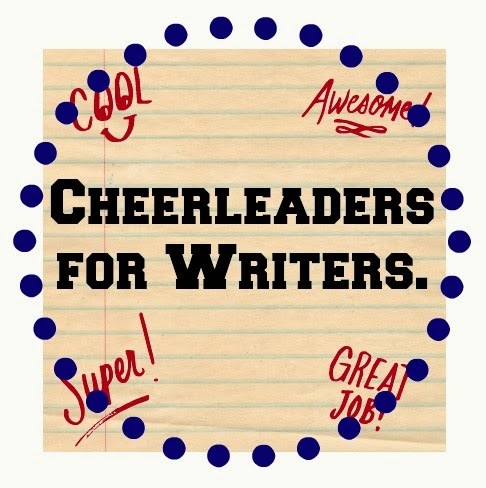 YA Sisterhood - Home of several tournaments, reviews, writers support and more. YA Stands - Writing community complete with beta reader volunteers! Yatopia - Teen Lit Heaven. 'Nuff said. What did I miss? I know I missed TONS. Please comment below with any sites or blogs for me to add. I will eventually compile these on their own page for quick reference.